People considering the jet black versions of the iPhone 7 and 7 Plus should be careful, as those options are more prone to scuffing and scratching, Apple notes on its website. 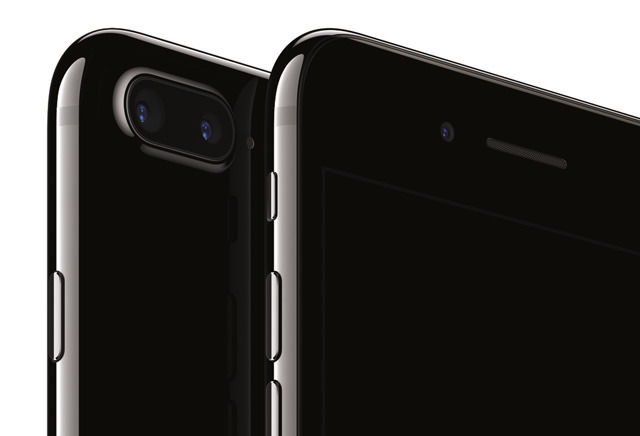 "The high-gloss finish of the Jet Black iPhone 7 is achieved through a precision nine-step anodization and polishing process," a disclaimer near the bottom of the phones' store page reads. "Its surface is equally as hard as other anodized Apple products; however, its high shine may show fine micro-abrasions with use. If you are concerned about this, we suggest you use one of the many cases available to protect your iPhone." The same problem isn't mentioned for the other four iPhone 7 colors —black, silver, gold, and rose gold —which are all matte rather than glossy. Until now Apple has been veering away from glossy materials. The iPhone 4 and 4S, which both used glass backs, were prone not just to scuffing and scratching but to cracking if an owner dropped them from a sufficient height. Preorders for the iPhone 7 and 7 Plus start on Sept. 9, and the devices will ship just a week later, Sept. 16. Prices will range from $649 for a 32-gigabyte iPhone 7 to $969 for a 256-gigabyte 7 Plus. Notably, jet black will only be available on 128- and 256-gigabyte models. Some other features of the phones include faster processors, better cameras, pressure-sensitive home buttons, and better water resistance. Apart from being bigger, the 7 Plus also includes a dual-lens camera.